No magic or no miracle goes in place without knowing of notorious Krishna Ji, who is all set to bring in his birthday celebration with this upcoming Janmashtami and so should you as the follower and believer in his faith. 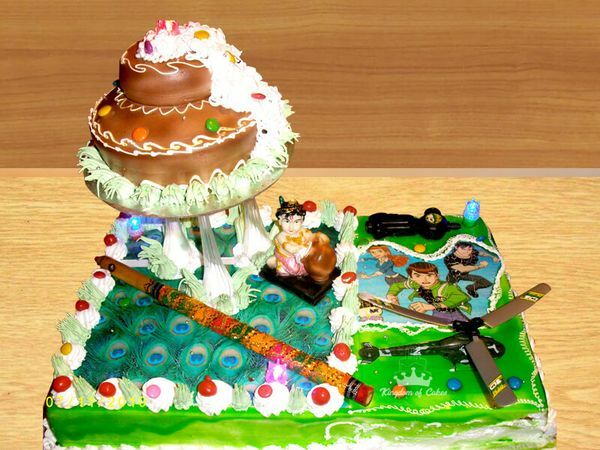 Keep faith in Kanha and order this Kanha ki Matki bliss Janmashtmi themed Cake and invite in everyone to sing in the hymns in the name of Krishna. This is a sin even Lord Krishna will spare you off.